We just released a beta version of our custom return reasons feature. 🎉 🎈We're seeking your feedback and we expect to connect analytics and the rules engine to your own custom reasons in upcoming iterations of the feature. Head to your Settings, under General > Return Reasons, to start creating your own return reasons! For our Australian merchants - we are now live with Australia Post through our Shippo integration! 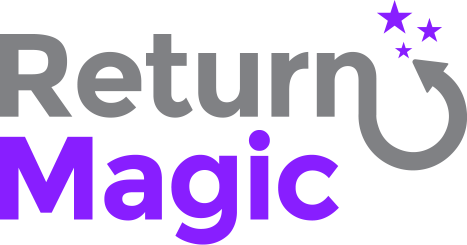 Feel free to send any questions our way by commenting below, or sending us an email at support@returnmagic.com. If you have been following announcements at Unite earlier in May, you may have seen that we were featured as one of the few beta partners for Shopify Flow. Flow is going to open a whole new world of possibilities and we're thrilled to be at the forefront, working for merchants to deliver more value. What does this mean? We can now create triggers and logic we could not do before. We'd love to know the triggers that would be important to you so we can develop the ones that our merchants really need! Send us your feedback and ideas here. We have some cool tips for you this month on how to scale your business quickly. Read here about actionable, true and tested techniques that we hope will help you scale your business during this summer!